The coolest fountain in the world. 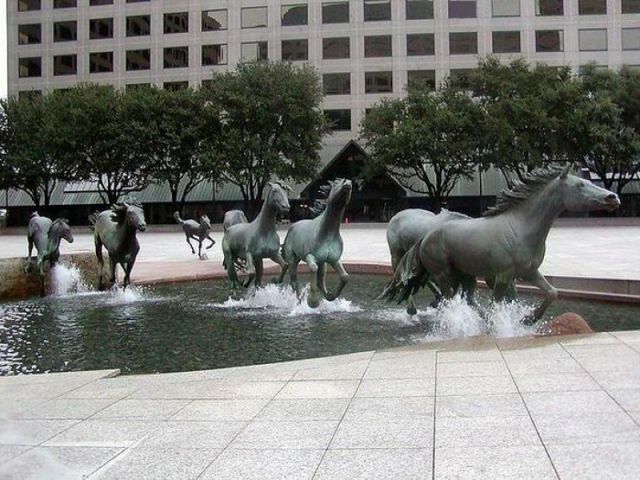 This is found in Williams Square in the Las Colinas area of Irving, Texas. Proof there is still some art out there, taking advantage of modern technology. Very nice!! Thanks for posting.